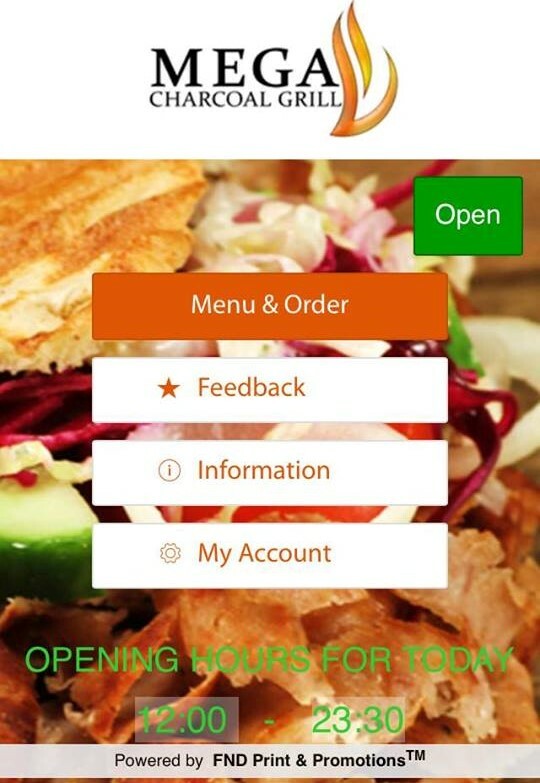 Great news for all takeaway lovers…we have our own app! Here at Mega Charcoal Grill, we want to make it as easy as possible for our customers to order food and have it delivered quickly. This is why we developed our own app which can be downloaded for free from Google Play (for Android) or the App Store (for iOS). 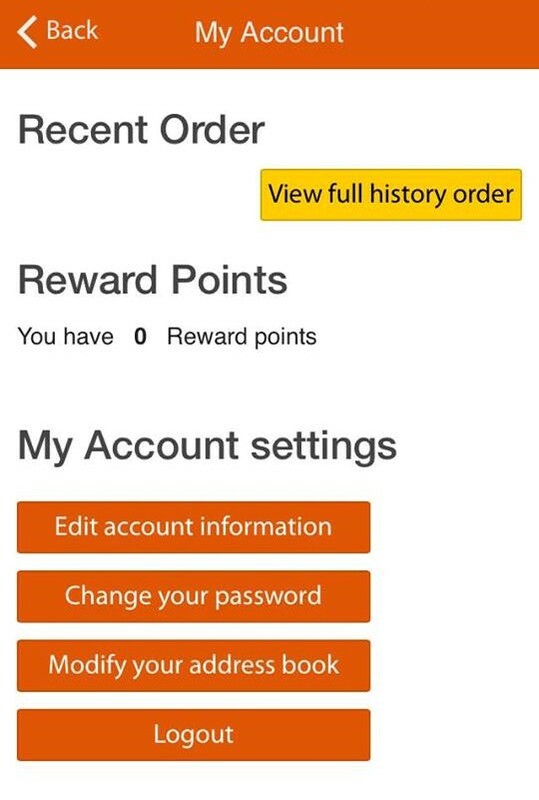 Once you have downloaded the app you can create your own account, view the menu, order food, and leave feedback. 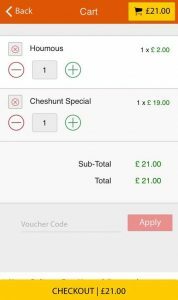 Ordering via the app is quick and easy and can save you time. 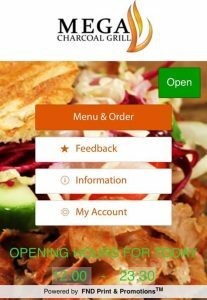 We are one of the only Mediterranean takeaways in Cheshunt to have our own app and our aim is to achieve top customer service for all. 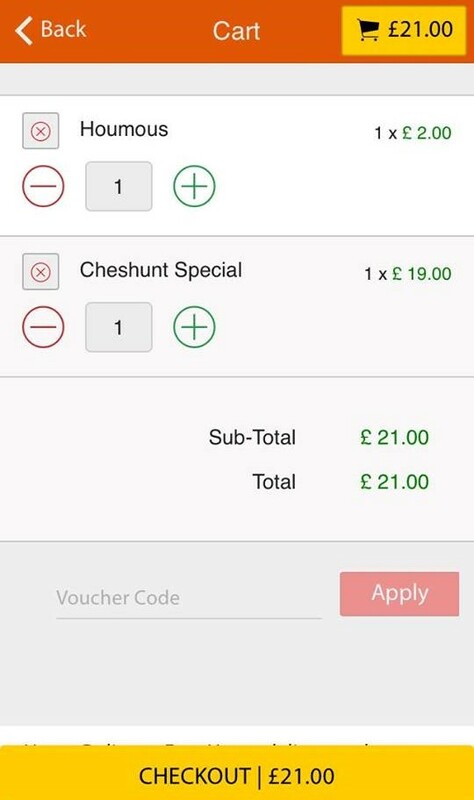 We also give our customers free delivery on all orders over £12. This applies to all three forms of ordering: over the telephone, on the website, and via the app. To download our app, go to Google Play or the Apple App Store. 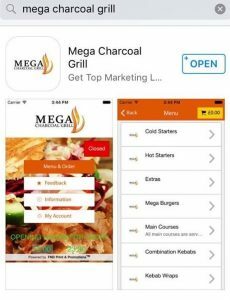 In the search bar type in ‘Mega Charcoal Grill’. 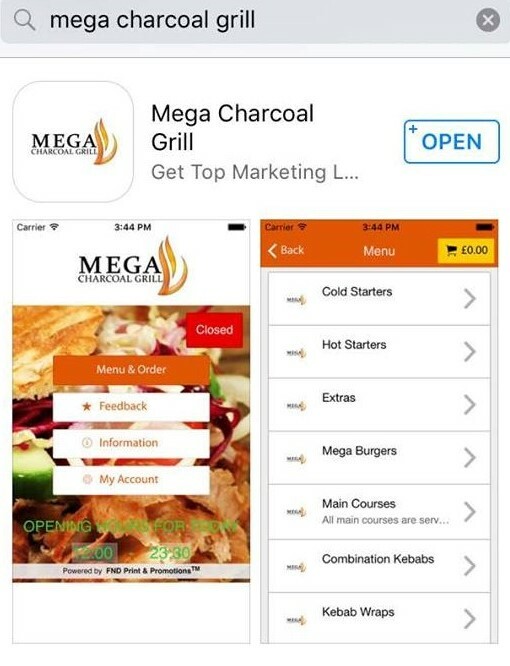 Our app will then appear – click on the download button to install the app. When you click on the app you will land on the homepage which has several options as shown below. Our ‘menu & order’ section takes you directly to our full menu. Here you can add items to your basket, checkout, and pay. You can choose to collect your order or have it delivered and can pay by PayPal or cash. We want to make the ordering process as quick as possible for our hungry customers! 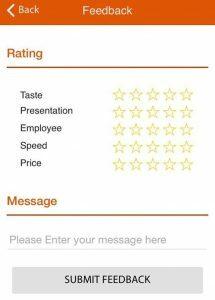 Feel free to rate our services and leave any comments on our feedback page. We love to get our customers honest opinions on our food and services and always aim to be the best of the best. 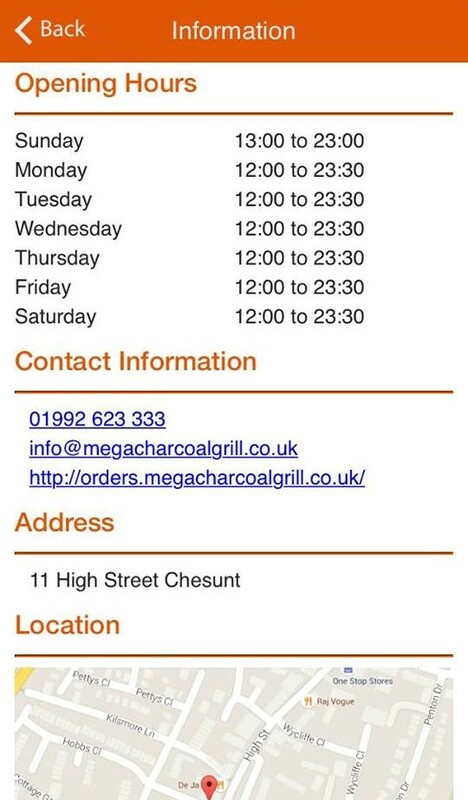 Our information section provides you with our opening times, contact information, address and location map. This is great to have to hand if you need to call us or find where we are located. Click onto ‘my account’ to sign up for an account. Creating an account only takes a few minutes as we only require your name, phone number, email, and address. 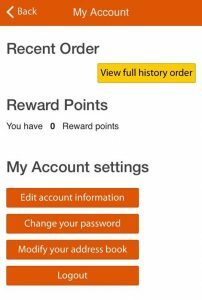 Once this is complete you will be taken to your account page where you can view your order history, edit your information, change your password, and change your address. Give our app a go and let us know what you think. Whether you are at home or on your way back from a day out, ordering from the app couldn’t be easier. Simply click on the app on your phone or tablet, pick your meal, and checkout. It only takes a few minutes to order…unless you can’t decide what you want! We would recommend one of our succulent kebabs with a side of fries.